It tasted great. 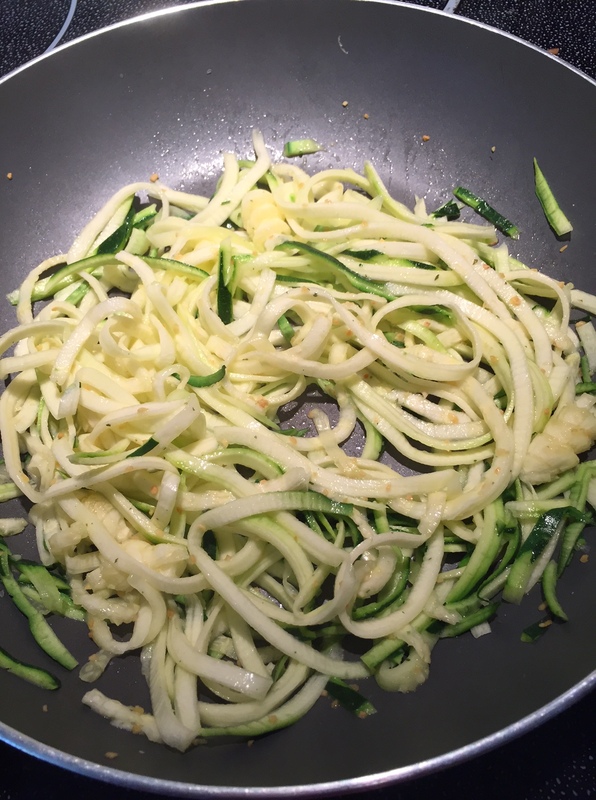 Some other times when I have made zucchini noodles, I’ve either cut them too thin, or overcooked them, or both:) This time they came out perfect. I am also looking forward to growing zucchini when the time is here. I’m glad you got your seeds in already! Thank you. It was. 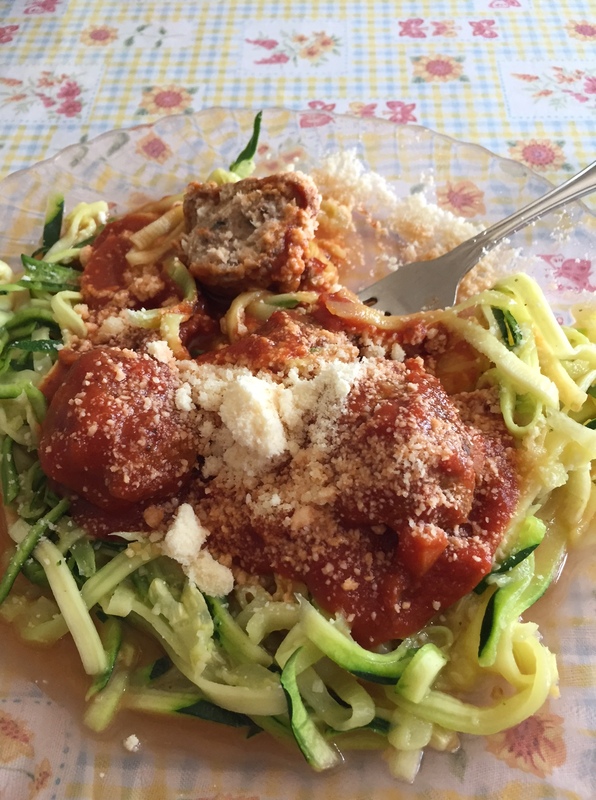 For once, I did not overcook the zucchini! Yum! Looks so good.. I like the idea of frying the noodles/squash , instead of boiling.. [Preventing them from getting mushy].. I had wondered if the cheap veggie noodle maker would work? Saw one at wal mart.. I am going to buy me one.. thanks for sharing. Proud you had a good lunch.. yummy. Sorry I have not visited your blog lately.. Have been sick … and busy doctor going.ha Have a blessed day. I hope you are feeling better now. So much yuck going around! I will say the cheap hand-held ones do work, but you do have to be careful. You can cut yourself on the blades and you do lose a little bit of zucchini that you cannot twist–you can always chop it up. I haven’t tried it on hard things like carrots.